Google has just updated its list to also include NBA League Pass, which came to YouTube TV earlier this month. If you want to check these out, head to the support page linked below, find the network you're interested in, and follow its link. 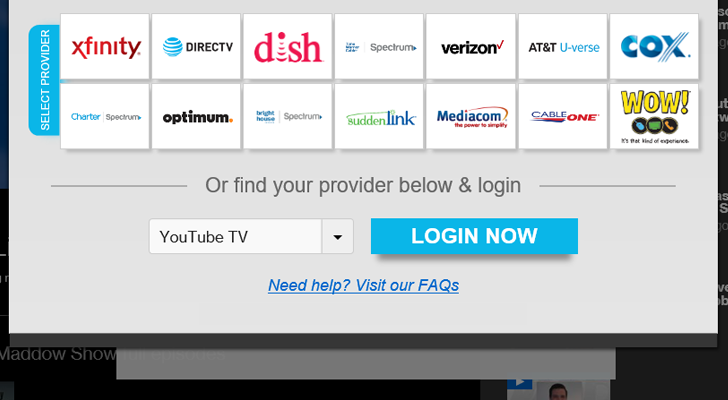 When asked to log in, you'll be able to choose YouTube TV as your provider and then enter your credentials to get access. This also works on the networks' Android apps, if you'd rather consume your TV there instead of a website.